Dr. Haupt is very open and honest about the outcomes that patients can expect. His ultimate goal is improvement, not perfection. Name: R. Scott Haupt, M.D. Dr. Haupt has always wanted to purchase a crystal ball. "I would like to gaze into it to let patients know what they will look like after surgery so that I can guarantee their success and improvement." What challenges did you face when you started your clinic? As a Board Certified Plastic Surgeon, we are trained in the practice of cosmetic surgery. I completed a General Surgery Residency and followed this with a Fellowship in Plastic Surgery at the University of Utah. This field attracted me for its well rounded scope of practice working with the entire body. The challenges is to provide quality Plastic Surgery in a state that already has many excellent Plastic Surgeons. With many years of providing coverage for trauma victims, reconstructive surgery needs in the area, and improving cosmetic surgery results, along with a good bedside manner, that we have achieved a level of excellence equal to the other well qualified surgeons in the area. We treat all people who come through our door the same. If the patients have great attitudes, we have an equally great attitude. Our main goal of the clinic is to have a warm environment along with accepting attitude of all people. Both of these combine to make the patients feel that we are invested in them and not just a number. How do you compensate your staff? What stories do you have about hiring/firing? All employees are on an hourly wage. We have only fired one person who violated a patient's privacy, probably without the patient ever knowing. A few employees have left to pursue other interest such as nursing degrees, but once hired, employees stay because of our great environment and good bosses. Marketing is a way to let people know of the services you provide. Of course, there are those marketing to stretch the truth. But the more truth you can provide not only in advertising, but with the patient's and their needs, the better off both the patient and physician are. How do you manage your technology purchases? The primary use of IPLs is to remove the brown and red pigments in the skin for a more even complexion. We try to purchase technology that is safe to the patient and the multiple skin types, but also provide a broad range that can we can cover most patient's needs. Most companies promise riches when buying their equipment, but with saturation of the markets with these technologies, it is difficult to have these results. We are trying to arrange agreements with other physicians to share each others technological devices and refer patients to the other doctor when a patients needs match the other physician's technology. This makes both practices stronger and give better quality service to the public. Technology companies are in business to make a profit. They will always try to oversell. This is very true of the hair removal lasers. Many companies have these machines and need to cover their costs. To do so they advertise very low rates with companies like Groupon. If you look at the actual income per visit per person, the companies have to sell over 10,000 visits to break even. In order to do this they must sacrifice time with the patients or make appointments so far out that it is impractical to provide the correct intervals for treatment. All people want nonsurgical options as surgery creates social down time. I do think the swing is towards more surgical intervention as the results of non surgical intervention even with newer technology is not giving people the results they would like. In general people want 100% of the results with 10% of the effort and cost. This is human nature and is perfectly understandable, but unfortunately not logical. Are they any new technologies that you think are especially promising? As everyone knows, facelifts can have variable results. To keep as youthful a face without the pull of a facelift, a combination of more minor procedures, such as an eyelift, minor lower facial and neck liposuction, and fat grafting and/or fillers to the midface, and newer technology that can tighten the skin such as Ultherapy and E-matrix, along with fotofacials and topical creams, can improve the face to give a glow that is better than people of the same age. This is a lot of effort, but just like if you want a good body you have to continually work out at the gym, your face needs on going workouts to be at its best also. We offer both non-surgical and surgical options for optimal outcomes. This allows us to be truthful with the patients and not offer only non-surgical options which many companies do since that is their only option to offer patients. What's the best advice you've ever received as a physician? The best advice is to treat nothing human as foreign to me. We are tolerant and accepting of all people, and hopefully they are of us as caretakers. To have two bankers and financial advisors. They both work harder. 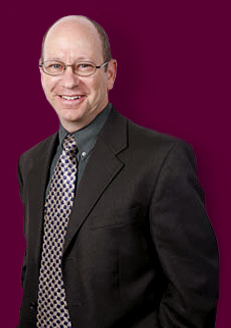 About: Dr. R. Scott Haupt has been in practice for over 20 years now. He has completed over 10,000 procedures. Dr. Haupt is also a skilled reconstructive surgeon who has privileges at several area hospitals. He is frequently consulted by other physicians and nurse practitioners to help on difficult cases. When Dr. Haupt is not seeing patients he enjoys spending time with his family, tennis, cycling, and some travelling. He has competed on the national level in tennis, and plays alongside his wife of 26 years in local tennis leagues.